If you registered for a pvc in 2011 or 2015,You do not need to register again,Your card is still valid. If you have misplaced your VOTERS CARD go to the INEC office near you with an afidavit/police report . 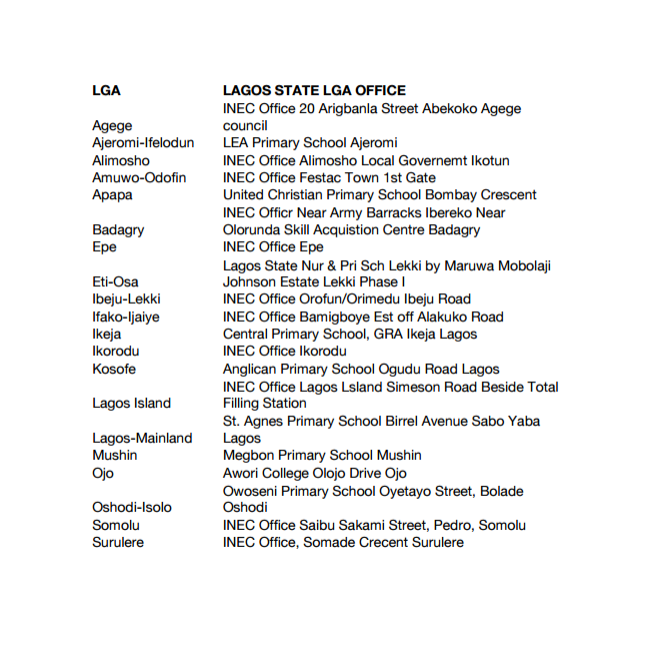 Also print out your details on inec.org you only need your name and date of birth to find your details online. I was so impressed with the electoral commission after I seamlessly found my detail with no stress on their site. Kudos! If you have changed location since the time you last registered go to an INEC office near you and request a transfer after downloading and printing your registration details on http://www.inec.org. Transferring from one location to another is so easy, you’d hardly believe that This is Nigeria after you are done with it. Its pretty simple and way easier than registering all over again. This information also applies if you need to change the details on your Voters cards, maybe your name was misspelled, or your date of birth is wrong. Photocopy your Voters card both the front and the back and visit an INEC office near you. remember that registering for a VOTERS card more than once is a criminal offence, just go back to Inec for a VOTERS card if for whatever reason you need a new one. This post is based on my experience, if you are just registering for the first time, you can make the process easier for you by having a valid identification card, arriving at the polling unit early. I got there at 7am and people were already there,the officials available from 9am – 3pm. I hope you find the information in this post useful. if you have any questions leave them in the comment section. Have you registered to vote in the coming elections? If you have ,how was the process? If you haven’t, why? Please let me know in the comment section. Thank you. This is actually really helpful, thank you. I haven’t gotten mine and that’s cos it’s been an hassle getting one. You are welcome. Dedicate one day in the week and just try to get it, It is super important to be part of the process of choosing our next leaders. I hope you get it soon.